B.Ch and M.Sc Casr Elini Faculty of Medicine, Cairo University. Fellowship and a member of the Royal College of Surgeons of Edinburgh. Member of the EUROPEAN Rhinology Society. Surgeries for snoring and sleep apnoea. Management of chronic headache & migraine. 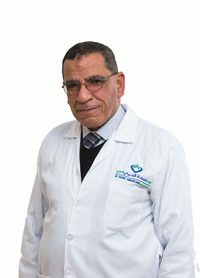 Rhinoplasty & functional septal surgeries using the most advanced techniques. Otologic & laryngologic microscopic surgeries. Management of nasal allergy and the infection of nasal sinuses. Medical & Surgical management of pediatric otolaryngologic diseases. Management of vertigo & tinnitus.